Warm Mediterranean Couscous Salad with Roasted Aubergine and Feta- a warm, vegetarian salad, perfect for summer lunches. Warm Mediterranean Couscous Salad with Roasted Aubergine and Feta is a new recipe that we have eaten regularly in the last few weeks. It is a light, summery (and vegetarian) recipe that I created to solve two problems 1) I just can't get enough of roasted aubergine and different ways to eat it 2) Britain's hottest weather since 1976 means I just can't face cooking anything heavy. I have used my favourite giant couscous yet again for this recipe, rather than the more conventional kind. 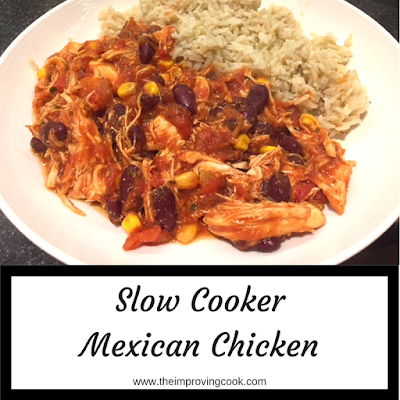 It's more substantial and mixes much better with a sauce due to being naturally slippery, rather than having a rough texture. 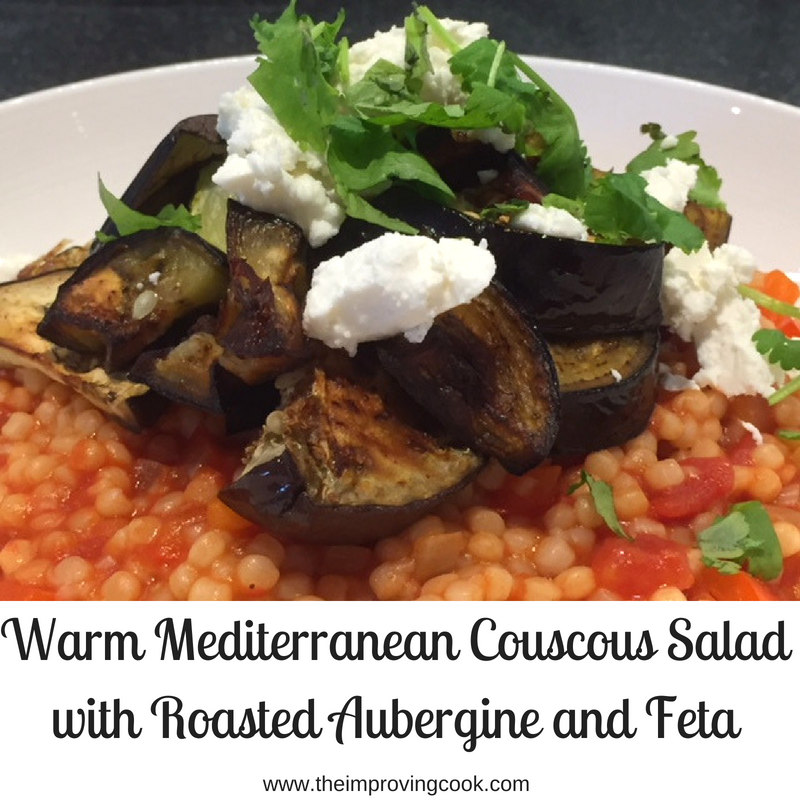 The Mediterranean Couscous Salad is rich with tomato sauce, garlic, onion and peppers and is perfectly topped off with nutty roasted aubergine and some creamy feta cheese. Fresh coriander makes the perfect finishing touch. We have eaten it warm for dinner but it's pretty delicious cold for lunch the next day too. 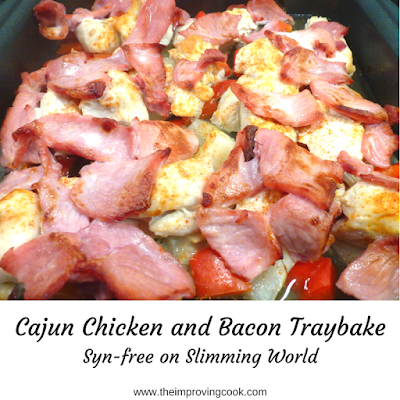 A smaller portion would make a lovely starter, if you're having people round. 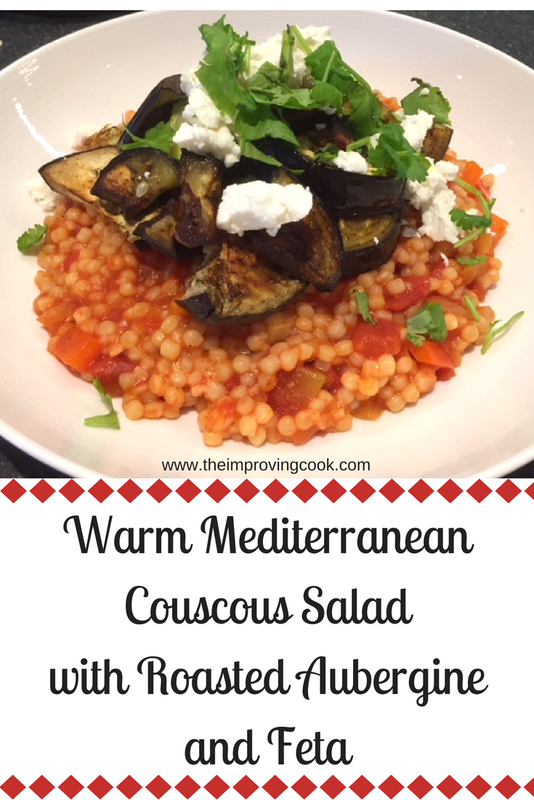 So if you want something light to eat, in the boiling temperatures, that has lots flavour and is vegetarian, then Warm Mediterranean Couscous Salad with Roasted Aubergine and Feta is one to try! Approx 480 calories per portion. Chop veg and lay on a baking tray with oil to roast. When starting to brown, remove. Cook the tomatoes with the rest of the red pepper and the onion. When reduced, take off the heat. Mix the couscous together with the tomato mixture and top with the roasted veg and feta. 1. Pre-heat the oven to 200 (180 fan, gas mark 5). 2. Chop the aubergine and half the pepper into 3-4 cm chunks and pop into a bowl with 2 tsp of the oil. Stir until the pieces are well-coated and tip onto a large baking tray. Add the whole tomatoes, if using. 3. Put the tray of aubergine and pepper into the oven for 20 minutes or until the aubergine is browning at the edges. 3. Heat 1 tsp of the oil on medium heat in large frying pan. 4. Chop the onion and the remaining half of the pepper into small chunks and soften in the pan with the garlic. 5. Cook the giant couscous in boiling water according to the packet instructions. 6. Add the tinned tomatoes and the vegetable stock to the pepper and onion and stir through. 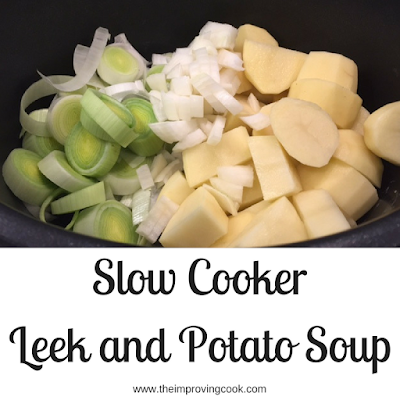 Leave to simmer and reduce. 7. Crumble the feta and chop the fresh coriander. 8. When the coucous is cooked, drain and add to the tomato mixture. Stir through and take off the heat. 9. Serve the couscous into large pasta-style bowls. 10. Remove the aubergine, pepper and tomato and pop it on the top of the couscous in each bowl. 11. Add the crumbled feta and coriander and serve.